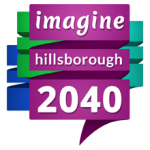 Imagine 2040 was honored to receive the American Planning Association’s Florida Chapter 2015 Project Award of Merit in the Best Practices category. The award was presented at the opening session of APA Florida’s annual conference, themed Betting on Florida’s Future, held in Hollywood, Florida earlier this month. 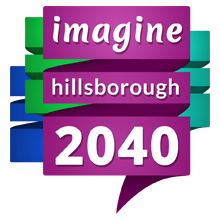 With nearly 6,000 survey participants, Imagine 2040 garnered the greatest amount of public participation ever achieved by the Hillsborough County Metropolitan Planning Organization and Planning Commission and has received numerous awards at the regional, state, and national levels.